In 1993 Quality Service Recruitment Ltd entered the market. 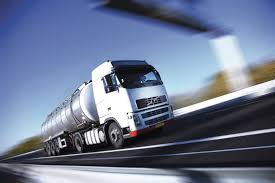 Our aim was simple,to provide professional HGV and non HGV relief drivers, as and when they were required. We have changed constantly since our incorporation and that change has been motivated by our desire to continually improve the service we offer. So, what do we do to ensure we deliver the very highest standards? We will spend more time, money and effort advertising for and interviewing HGV drivers than any of our competitors – creating a greater choice of driver. We will visit your business prior to supplying drivers. We will listen to you, ensuring we fully understand your specific requirements, then tailor our service to meet your needs. We use over 22 years of experience and market leading recruitment and selection procedures to guarantee you our driver has the right attitude and relevant experience to work with your business. You will have access to our recruitment team 24 – hours a day, through our main office numbers and we will monitor every incoming and outgoing call to ensure you receive a positive and swift response to your orders. All of our branches operate as one unit. Because we operate in this fashion we will provide you with greater operational support and access to a wider choice of drivers than is possible working with the majority of our competitors.